There is so much more to the millennial generation besides using smartphones, student debt, and a mindset of working to survive. While they might seem they do not take up a substantial share of the job and housing market that is set to change. You are going to need a thorough understanding of this age group in order to get a sense of the actual impact they have on Atlanta’s commercial real estate market . More than any other group, millennials are conscious of the environment and look towards sustainable buildings. The ability to ride a bike to work or take public transportation makes urban areas particularly attractive. Commercial real estate that is near built-in bike racks or transit stops will be appealing to millennials. Since millennials desire sustainability, many real estate companies are working to become LEED certified. If you cannot obtain LEED certification, you should still attempt to incorporate at least a few aspects into your property in order to appeal to millennials. Implementing a few green solutions will contribute greatly to both attracting millennials and reducing utility expenses. The high initial costs may discourage some, but the long-term benefits far outweigh the costs. It is easy to understand why the area around the belt line is so coveted among millennials thanks to the newly renovated green spaces and the ability to walk everywhere. Most millennials grew up in an immediate, high-tech world and they expect as much from their commercial real estate properties. Whether it is figuring out how to communicate with millennial tenants or upgrading the ways in which they interact with appliances, property managers are implementing numerous different technological advances at their sites. Many new apartment complexes are adding reliable WiFi, USB ports, iCafes, and other technology that facilitates greater connectivity. Not only that, some apartment buildings have been outfitted with cloud technology so you can control the lighting, heating, and cooling all from the convenience of your smartphone. This point can be a major make or break point for millennials, so keep up to date with all of the latest technologies. With the recent arrival of Google Fiber in Atlanta, the baseline expectations for high-speed internet in Atlanta office space have drastically increased. A vast majority of millennials in Atlanta believe that going into the office to do their work is unnecessary. These individuals do not feel an attachment to their working space and commercial real estate designs reflect this shift. In order to attract this age group, property managers are creating working spaces to be inviting and open. Most millennials do not want to work in closed off cubicles when they could be operating in a common outside space. Apartments and offices with patios and seating areas will be an easy sell for millennials. Due to the millennials “inter-connectedness”, the desire for shared office space, and the demand for working at home, the trend of shrinking Atlanta office space will continue. Considering that this generation does most of their work on a smartphone or other devices, property managers in Atlanta are increasingly turning towards virtual, interactive tours. Millennials want to see a ton of photos and videos on every aspect of the property online. Video tours are set to become the staple for commercial real estate listings. As millennials increasingly want to experience the entirety of these properties online, commercial property managers have to view these digital offerings as the standard. Do not spare any expense in captivating millennial audiences through the use of interactive technology. The baby boomer dream of owning their own home is not nearly as strong with millennials. Instead of purchasing a home, they choose to rent longer. This decision to pursue multi-family complexes has radically increased the amount and type of amenities these compounds offer. In Atlanta, apartment complexes have begun to prioritize amenities such as common spaces, hotel style lobbies, bike storage, rooftop terraces, dry cleaning services, walking trails, etc. High growth industries are following millennials and are looking for office sites close to urban, dense, mixed-use, and walkable neighborhoods. Since millennials have demonstrated that they are willing to leave the core urban area, planners have the flexibility to situate these developments outside Atlanta’s city center. Thanks to millennials, offices have eliminated most of their private spaces and instead have gone for open, light, and flexible configurations. Office spaces have becomes less of a place devoted to individual talks and more about meeting with a diverse collection of people to share, gather, and collaborate. Millennials inherently value change, so real estate cannot afford to ignore them. These design changes are going to translate into the retail real estate market as well. Millennials prefer the main street retail design more than big boxes and stand-alone shopping centers. Therefore, in Atlanta, there is going to be a combination of High Street and Strip Mall stores in order to capture their attention. Developers have begun putting these retail developments closer to where millennials live, so it achieves the within walking distance goal. Since millennials prefer to do much of their shopping online, retail spaces have shrunk as they focus on online markets as well. In order to compete with online shopping, retail real estate projects have to deliver an experience that entertains its customers. Especially in Atlanta, the primary beneficiaries of this increased millennial online shopping are industrial warehouses that house these products. Thanks to supply chain management and the ever-increasing amount of goods from producer to wholesaler to retailer to buyer translates to a need for these warehouses to move this immense amount of goods. With the advent of same-day delivery, these fulfillment centers will be much closer to urban centers than traditional warehousing. You can no longer afford to brush aside this growing generation. Millennials are beginning to have an influence on the commercial real estate market, and it is only a matter of time before their preferences are the standard. You are going to have to make some unique decisions when it comes to your commercial property, whether that means increasing sustainability, adding common areas, or improving the “inter-connectedness” and technology. 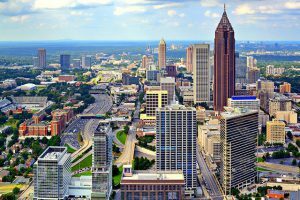 In Atlanta, you will regularly need to update your designs and functionality to keep up with this fast-paced demographic.